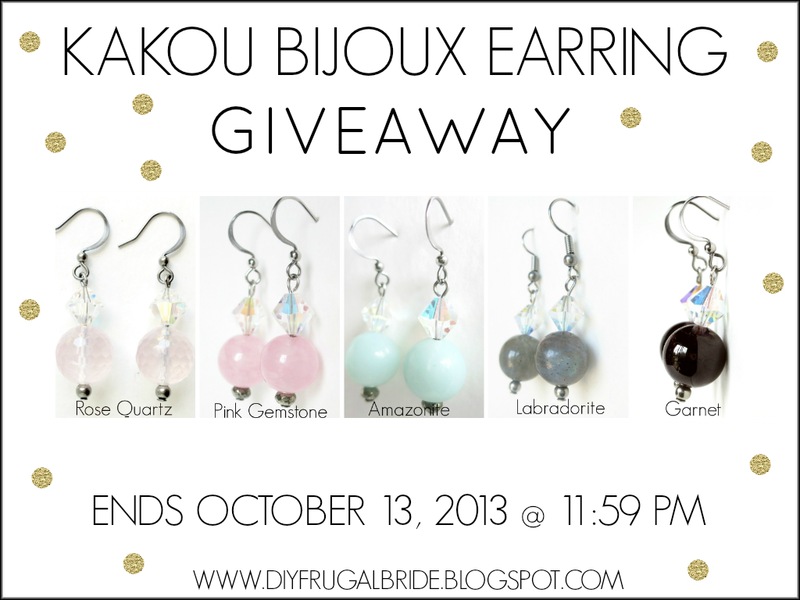 Sleepless in DIY Bride Country : Earring GIVEAWAY from Kakou Bijoux!! Good morning y'all! 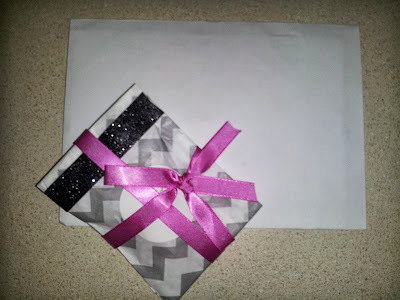 I'm introducing you to a new giveaway this morning sponsored by Kakou Bijoux!! 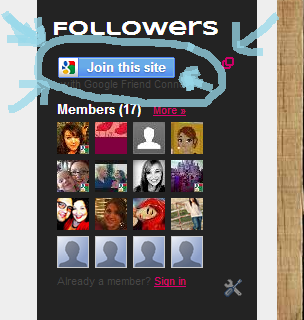 I'm so excited for my readers to enter, and visit Kakou Bijoux's shop. 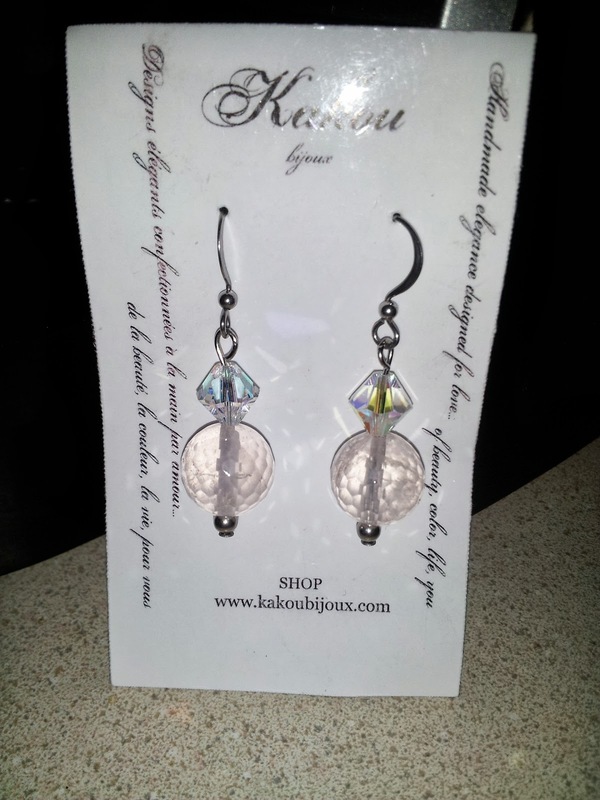 I have had the pleasure of getting to know the Etsy shop owner of Kakou Bijoux...Karine, and she is a doll!! 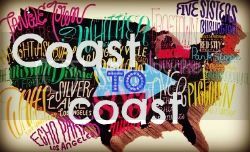 She responds quickly to emails, and is so sweet, I couldn't resist having her product featured on my blog. Not only is she so amazing, but her shop features beautiful gemstone jewelry, and it's to die for! 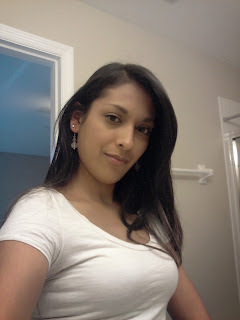 I received a pair of these earrings, and no lie...I literally have been sporting them everywhere I go! I love all the colors Karine's shop offers, but the rose quartz caught my eye! Without a doubt, these earrings are neutral enough to wear with any outfit. The color of the rose, is complimented by the crystal AB color on top, and the combination is beautiful. The beads Karine uses to make her beautiful jewelry are genuine gemstones, and they are far from being plastic. If you are looking for a beautiful, long lasting accessory to compliment your outfit, I would recommend you take a look at Kakou Bijoux for quality accessories! Karine takes great care, in making her jewelry so you can imagine that she packs her earrings with care! I honestly love an Etsy shop that takes pride in packaging their product, it tells me that they are proud of their product and their product must be great quality! This me (below) showing off my earrings before class on Thursday. When I got to my class, the girls sitting at my table immediately complimented my earrings, and asked me where I got my earrings. Of course, I told them from an amazing Etsy Shop called Kakou Bijoux. I was just curious to see what caught their eyes about my earrings, and one of them said it was the drop effect, and the other girl said it was the crystal AB color on the top. Another girl felt the earring, and was shocked that it wasn't plastic. It's a true gemstone, and the weight of the earring isn't at all heavy! It truly is hard to find quality genuine gemstone jewelry. To wrap up my review on these beautiful and my new favorite earrings, I have 2 last points to make! Pay attention because this is important info! So I have sensitive skin, and when I say I have sensitive skin, I mean anything and everything I wear in the jewelry department (including my platinum engagement ring...sometimes) breaks my skin out in a rash. I normally don't wear jewelry that's not platinum or gold, because my skins turns red, I itch and it gets swollen (its ugly). I wore these earrings, all day for five days, and NOTHING! I didn't have any allergic reaction, my skin was perfectly fine. (No, I'm not faking sensitive skin for expensive jewelry...lol I really do have sensitive skin) Upon receiving these earrings, I did what I normally do to any jewelry accessory before wearing, I dipped them in alcohol, and put them on. This tells me two things, they are made with extreme care, and second it's a quality product! Therefore, here is my last point...I will be getting these earrings for my bridesmaids as a gift, because I have to share this product with them! I hope visit Kakou Bijoux, and try out this product for yourself. Now it's time for the GIVEAWAY!! 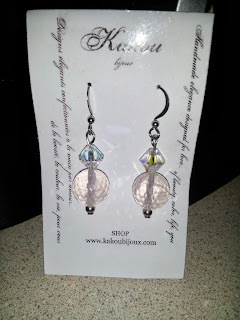 Kakou Bijoux is giving away one pair of these earrings, color of your choice to one lucky reader!! This giveaway starts today 9/30/2013 at 10:00 AM, and ends 10/13/2013 at 11:59 PM. Remember you MUST be a DIY Bride Follower VIA GCF to enter this giveaway! Winner will be announced on 10/14/2013 in the afternoon!! Good Luck everyone! Steps for Entering in Kakou Bijoux GIVEAWAY!! 3. There are 3 mandatory fields in this giveaway! 3. Make Kakou Bijoux your Favorite on Etsy! . Once you've unlocked those 3 requirements you can enter for easy entries if you'd like. The more you enter the more likely you'll win!! 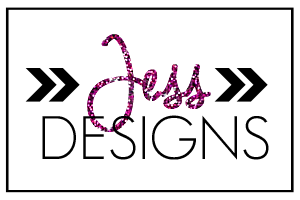 For easy entries follow Jess on Pinterest, Twitter, and Like my Facebook page. This giveaway has DAILY entries by Tweeting about the giveaway, and/or pinning an image of the giveaway to Pinterest DAILY. This gives you the opportunity to win the prize even more! 48 hours to respond to email if won. Open to US/CAN/+18 ONLY review terms and conditions on rafflecopter.